The California craft beer icon has installed Tesla Powerpack batteries to manage the whopping demand charges that stem from brewing. The hop notes are pine and citrus, chased by toasted malt and a finish of lithium-ion. That's right, one of the iconic American pale ales is now officially produced with the help of advanced energy storage technology. 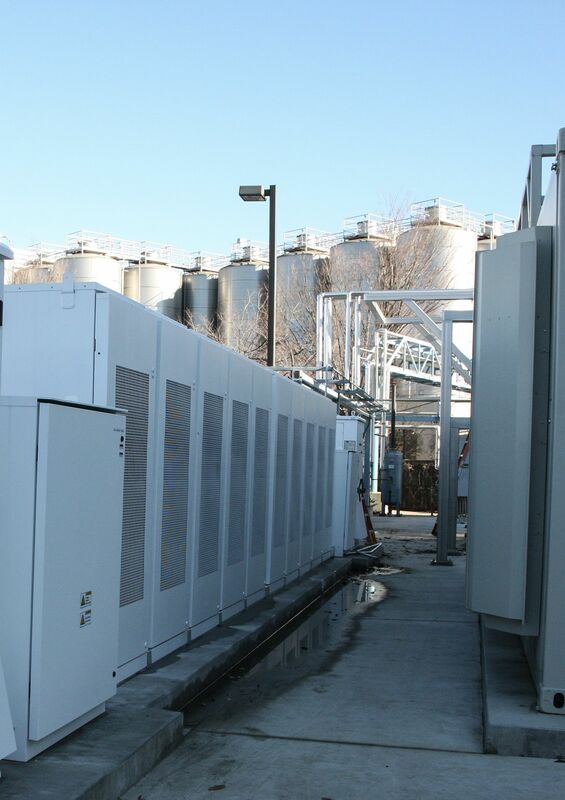 Sierra Nevada Brewing Company has installed 500 kilowatts/1 megawatt-hour of Tesla Powerpack batteries at its Chico, California brewery. From humble roots as a West Coast craft brewery, Sierra Nevada has gone national in a big way, and can now brew 1.4 million gallons of beer onsite at a time. That brewing generates frequent but predictable peaks in the company's demand, which translate into hefty demand charges on the monthly electricity bill. In 2016, Sierra Nevada paid more for demand charges than for actual electricity, said Sustainability Manager Cheri Chastain. By discharging power from the Powerpack bank at times of peak consumption, Sierra Nevada can avoid the worst of these charges, reducing the cost of doing business and also relieving some stress on the grid. This deployment marks an early entry in the beer-making industry's relationship with advanced energy storage. It's a conceptually resonant pairing, as beer represents, among other things, energy contained inside a metal vessel for discharge at a later time. The Maui Brewing Company has also installed Powerpack batteries, said Tesla spokesperson Alexis Georgeson. Then there was the group of scientists in Colorado who made lithium-ion electrodes using wastewater from the brewing process, but that's another story entirely. A close precedent for brewery batteries can be found in wineries. Alpha Omega Winery in Napa Valley, for instance, deployed 580 kilowatt-hours of saltwater batteries from Aquion Energy for demand management and backup power as part of a solar-powered microgrid last fall. The Jackson Family Wineries in California have a portfolio of 8.4 megawatt-hours of Powerpack storage across six different wineries. Sierra Nevada, though, has its own history of embracing clean energy. "The batteries are a piece of our energy puzzle that also includes pieces like craft brewing’s largest solar system, 2 megawatts of Capstone microturbines, multiple heat recovery projects, and an extensive suite of energy-efficiency projects," Chastain wrote in an email Monday. The lion's share of the electricity used for brewmaking does the work of heating and cooling the brew-to-be. Brewmasters steep grains in hot water to pull out their sugars. The resulting sweet mixture is boiled with hops to develop the beer's flavor and aroma before being cooled to room temperature and transferred to the fermenter. After fermentation, the brewers need electricity to filter and bottle the beer. Since temperature control at each stage of production is vital to the quality of the end product, this procedure does not lend itself to time-shifting in the way that air conditioning load, for instance, can be manipulated without disrupting the temperature of an office building. But Sierra Nevada has other tools in its arsenal. The peaks typically come in the morning, when the filtration and packaging machinery gets started, and in the evening, when the cleaning systems fire up. 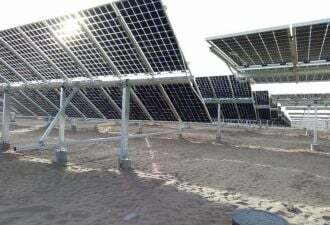 The 2 megawatts of onsite solar generation keep the facility's grid demand low during sunny hours (and supply about 20 percent of the facility's annual load), and the load-following microturbines do the same when the sun is down. "There are spikes, however, in early morning or late evening when the sun is not out and the load is slightly larger than what our microturbines can provide -- this is where the batteries come in," Chastain said. "They are designed to provide the short-duration power needed to avoid high demand charges when solar and microturbines aren’t enough." Green Charge Networks software incorporates the batteries into the other onsite energy assets, while Tesla's proprietary software governs the charging and discharging of the AC-connected Powerpack itself. The resulting demand-charge reduction is so valuable that Sierra Nevada was able to pass on the "value stacking" that has become ubiquitous in energy-storage sales pitches and justify buying the system purely for demand management. Sierra Nevada is waiting for confirmation on funds from California's Self-Generation Incentive Program; if those come through, the batteries will pay themselves back in less than two years, Chastain noted. Without SGIP funds, payback will take approximately five years. That's a tremendous rate of return for an energy storage system operating on a single application. If these conditions hold for Sierra Nevada's peers, breweries could make for a lucrative new commercial storage market. "Tapping into systems like these could cure what ales large consumers by bottling up charges that hang over their balance sheets," noted Daniel Finn-Foley, senior analyst at GTM Research covering energy storage and the transformation of the wholesale hops markets. "There is a lot here to distill, as this is one of the lager energy storage projects we’ve seen in this stout, yet lush, market. Cheers to Tesla, but true proof will come beyond the first draft, as broader commercialization is not, so to speak, easy." 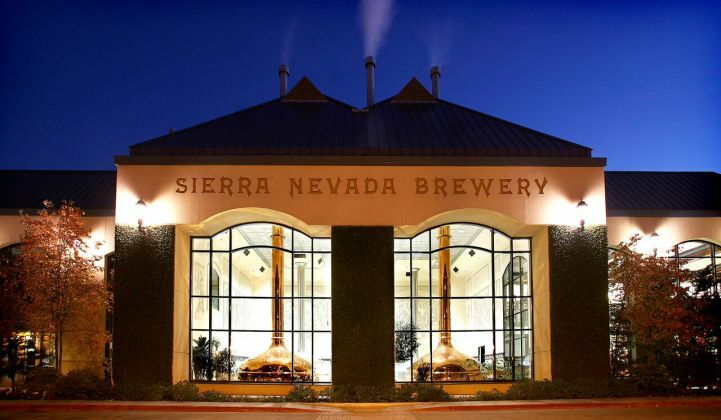 Indeed, few other breweries match Sierra Nevada's production profile, which is smaller than the mass-produced Buds and Busches but larger than almost every other craft brewer. 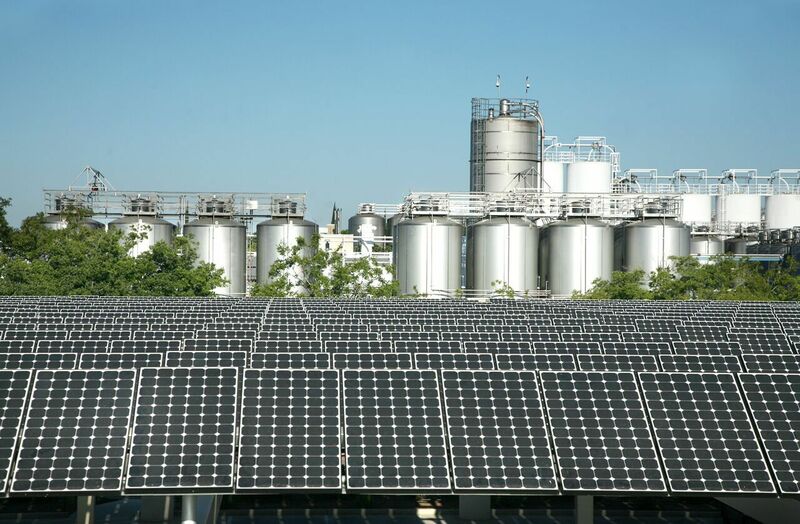 The microbrewers operating for local or regional distribution may lack the balance sheet to invest in energy storage outright, or may not see the kind of demand charges that make the investment worthwhile. For the time being, then, getting a buzz from a battery will be available from a select few brewers.